I'm back in Amsterdam. Which makes me very happy. I celebrated being here by walking across the city. For a coffee at a local hangout, I met Machteld Ligtvoet, a friend from several trips to the city. The brasserie and bar de Ysbreeker (Weesperzijde 23, 1091 EC) was named for the ice breakers that used to dock on the Amstel River in front of the 18th century building. We talked about Amsterdam and she shared some of her favorite destinations. After we said goodbye, I could have taken a tram back to the INK Hotel Amsterdam where I am staying or, as Machteld suggested, I could walk. That was great advice. Walking across the city was so much fun. 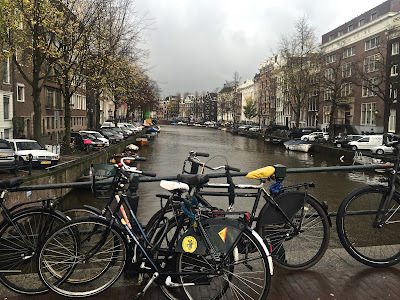 I walked on the east side of the Amstel River, checking out the river traffic and the house boats moored along the river and the canals. Then I walked across the city center so I could stop at the Sofitel Legend The Grand Amsterdam. I had heard that the Grand's 1-star Michelin restaurant Bridges had recently been remodeled. Anne-Claire Koopman, Marketing Manager at the Grand, gave me a tour of Bridges. The restaurant is a delight. Elegant, modern and intimate. I didn't have time in my schedule to have a meal, but next trip, that will be at the top of my must-do list. There were other changes at Bridges as well. A new bar, the addition of a chef's table in the heart of the kitchen and an expanded bistro, where we found a seat with a close-up view of the beautifully lush courtyard garden. For a snack, we had a plate of bitterballen, that quintessential Dutch appetizer made with flour and bits of meat, deep fried and served with a proper spicy mustard. Delicious! But it was the beverages that gave me a Proustian moment. In 2015 I was in Amsterdam and stumbled on a liquor store on the edge of the Jordaan, 2008 Wine & Spirits (Haarlemmerdijk 59). 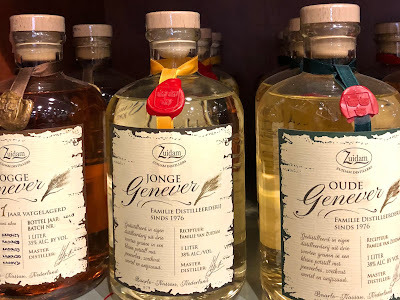 Ron Verhoeven offered me a tasting of Jenever or Genever, a distinctive Dutch spirit. Clear or amber, depending on the age, it was love at first sip. Verhoeven set me on a path that I've pursued since then. I wrote an article about Jenever, which I am reprinting here. Which brings me back to Bridges. Jenever was on the drink menu. Of course, this is Amsterdam. The bistro poured Jonge Bols Dubbelgestookte Graanjenever with a beer back. I loved the combination of a strong clean spirit and the effervescence of a light Dutch beer. Delicious. All that was missing was to close the circle. After I said goodbye to Anne-Claire, I continued walking north through drizzle and sunny skies. I crossed DAM Square, joining the throngs of tourists north on Nieuwendijk, which finally became Haarlemmerdijk. I was returning to square one, the place where it all began. I walked into 2008 Wine & Spirits expecting to see Ron Verhoeven again. He wasn't there. Arjan his brother-in-law greeted me. I quickly saw what I wanted. Zuidam: Jonge Graan Genever. I bought two bottles to bring home. 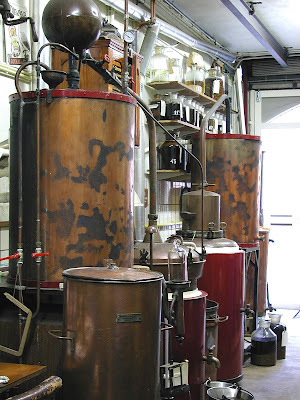 Arjan told me the history of genever and how the quintessential Dutch spirit fell out of favor in the 60s and 70s. 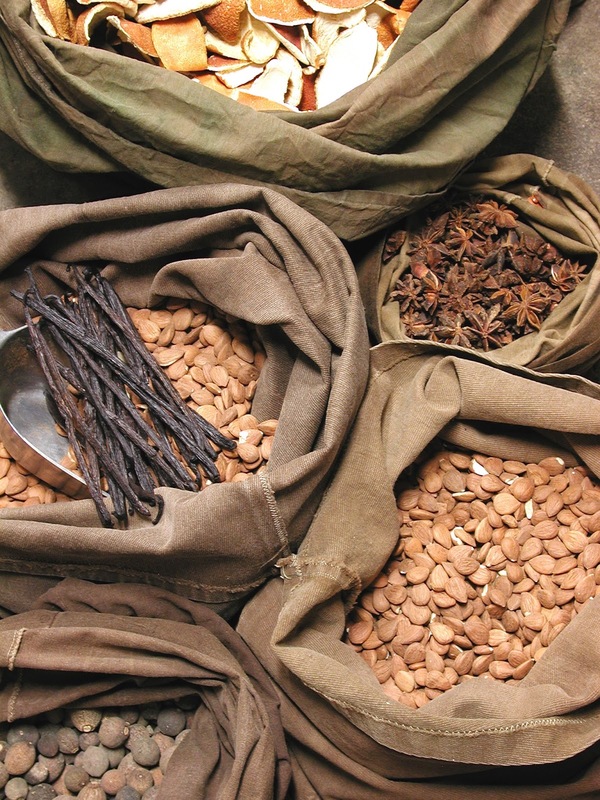 Happily in the last twenty years, jenever has had a resurgence. Large and small producers have embraced the spirit, improving the quality, striking out into new flavor directions. For the rest of the evening, at dinner at de Belhamel (Brouwersgracht 60) and for a nightcap at the Pressroom Bar at INK, I sampled more jeneers. Oh, happiness. I enjoyed a Wees Jonge and a Zuidam Gelagerde Korenwijin 5 Jaar Vat Gelagerd. So different. So delicious. Jenever’s clean, bright taste is perfect neat or in cocktails. If you visit Amsterdam, you will be advised to do as the Dutch do. No matter the weather, rain or shine, jump on a bicycle and explore the city. A necessary part of the Dutch experience is to stop in a neighborhood bar for a sandwich and a glass of jenever (or, genever, as it is variously spelled, and pronounced “yin-e-ver”). 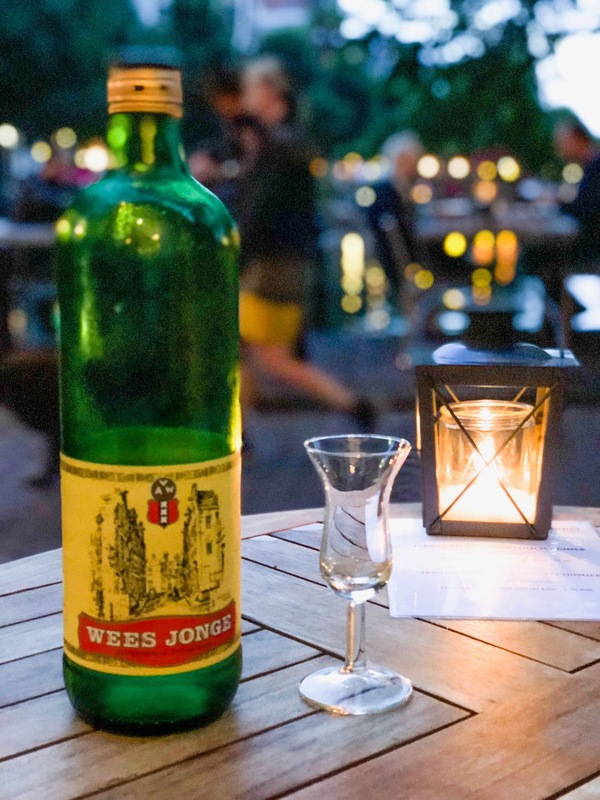 You will happily greet the waiter who delivers jenever to your table in its traditional tulip shaped glass. As you sip, the jenever will give you “Dutch courage” to go back outside to continue your adventures. For hundreds of years, jenever was the favorite drink of the Netherlands. When the English and Dutch fought a war in the 17th century, the English soldiers remarked about the fierceness of their opponents. That fierceness seemed to have something to do with the drink they shared before battle. Soon the English were drinking jenever as ardently as the Dutch and when they returned home, they wanted more of the same. Both use juniper berries as an aromatic, but jenever is distilled from malt wine made with rye, corn and wheat, while gin is distilled from grains. That malty base gives jenever a quality similar to whiskey or scotch. To be called a jenever, the spirit can only be produced in the regions specified as AOC (Appellation d’origine contrôlée), which include the Netherlands, Belgium and a few areas in France and Germany. In 2008, two sub-categories were created that differentiated a “young” (jonge) and an “old” (oude) jenever. The names refer not to age but to the percentage of malt wine and sugar in each. Following the historic practice, old jenever must have at least 15% malt wine and no more than 20 grams of sugar per liter. Creating a more modern and lighter distillate, young jenever may have no more than 15% malt wine and no more than 10 grams of sugar per liter. A few jenevers are exported to the U.S. and they are prized by mixologists. The best way to enjoy the great variety produced by Dutch distilleries is to go on a jenever-bar-crawl in Amsterdam. Walking along the canals, visiting museums and hanging out in coffee shops, you will want to visit several of Amsterdam’s jenever tasting rooms called proeflokaal. 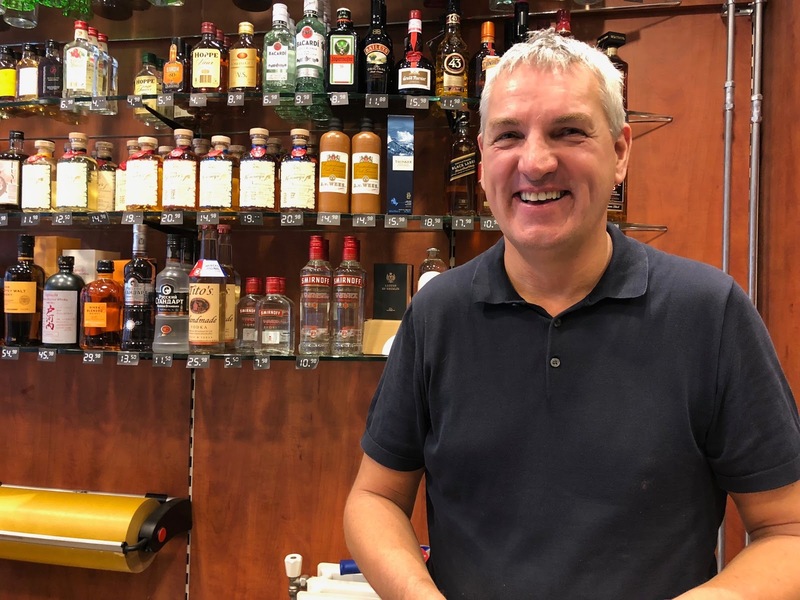 Many of those family-run bars are in historic rooms with ancient wood paneled walls, cooper pots used in distillation and shelves lined with dozens of types of jenever. For my tour of Amsterdam, after I crossed tourist-popular Dam Square in front of the Royal Palace, I walked down a narrow pedestrian walk-way lined with centuries old stone buildings that all but blocked out the bright blue sky overhead. Finally I reached Wynand Fockink (Pijlsteeg 31, 1012 HH Amsterdam,+31 20 639 2695), a 17th century tavern with a retail store in one small room and a bar in the other. Wynand Fockink feels like a setting you’ve seen in a Rembrandt painting with low ceilings and long wooden shelves, sagging with age and the weight of a great many liquor bottles. No mixed cocktails are served here. The bartenders offer customers tastings of their old, young, spelt, rye and superior jenevers in traditional tulip shaped glasses. Another destination for that old school experience is the charming, historic, 19th century building housing Proeflokaal A. van Wees (Herengracht 319, 1016 AV Amsterdam, Netherlands, +31 20 625 4334). The tasting room serves sixteen types of van Wees jenever. The young jenevers have a light, bright flavor. The old jenevers, of which there are many, have flavors varied by the choice of botanicals and the length of time spent in oak casks. Some of those jenevers are aged as long as fifteen and twenty years to create flavors similar to brandy or fine Scotch. The Van Wees Distillery (Van Wees distilleerderij de Ooievaar) originally opened in 1782, may be the oldest, continuously run jenever distillery in Amsterdam. Fenny van Wees, the current owner and distiller, took over from her father who followed his father into the business. Now her daughter, Nikki Swart, has joined her. 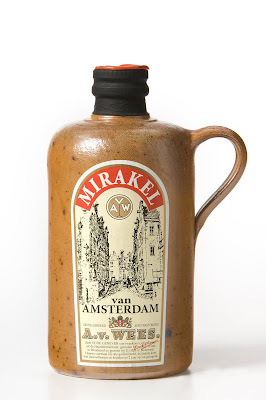 Their small batch jenevers are sold in bars around Amsterdam and exported throughout Europe, although not as yet to the U.S. About her release, the Miracle of Amsterdam (Mirakel van Amsterdam), she uses phrases commonly employed to describe fine wines and exquisite whiskeys. 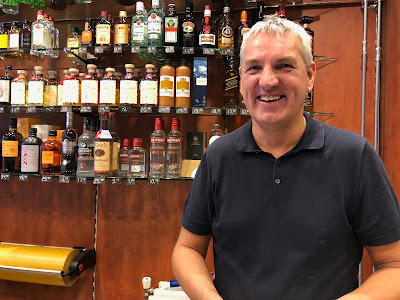 For a completely different experience, a must-stop on a jenever tour of Amsterdam is the House of Bols (Paulus Potterstraat 14, 1071 CZ Amsterdam, +31 20 570 8575). The design style is modern, bright and colorful. In the Mirror Bar, the décor is fun and exciting as guests gather around the long bar to watch mixologists ply their trade. Guests can also join a workshop in cocktail mixology and have tastings of Bols’ liquors and jenevers as well as take a tour of the distillery and experience the varied aromas and flavors used in creating spirits in the Hall of Taste. Making an appearance in Michelin-starred restaurants and bars around the country, jenever appeals to mixologists who like its distinctive flavors and its ability to play nice with other ingredients. Leo Robitschek at New York’s Nomad Bar (1170 Broadway, New York 10001, 212 796 1500) uses jenever to build complex flavors in his cocktails. To make the Dr. Walnut cocktail, he mixes Bols Genever 1820 with Amaro Ciociaro, Royal Combier, hazelnut liqueur, lemon juice, egg white and shaved walnuts. 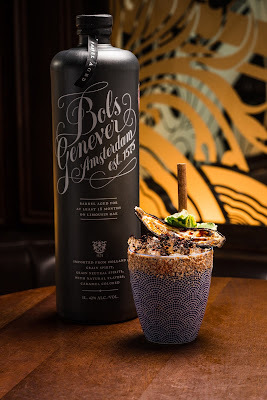 For a completely different experience, Bols Genever 1820, pisco and cachaça are combined to create a high-octane base in the Sakura Maru cocktail, flavored with sheep’s milk yogurt, lemon juice and agave. At San Francisco’s Mint 54 (16 Mint Plaza, San Francisco 94103, 415 543 5100) in Union Square, Jacobo Rosito uses a light touch when he creates jenever cocktails. His New Era cocktail, a riff on a Moscow Mule puts Bols 1820 Genever front and center in a light mixer of St. Germain, lime juice, Fever Tree ginger beer and a few dashes of Angostura Bitters. For his Smokey Old Fashioned, he accents Bols Barrel Aged Genever with Lapsang Souchong syrup and bitters 12. Rosito says that those two cocktails are now the most popular at 54 Mint. For an after dinner digestive, he recommends Bols Barrel Aged Genever, which he happily admits he loves neat as his own end-of-the-evening treat. Rosito declares enthusiastically that jenever will become the new trend in the U.S.
also benefited from a visit to Amsterdam. Cerrudo riffs on classic cocktails using Bols genevers. With a nod to Amsterdam’s Red Light District, for his Red Light Negorni he uses Bols Genever, Pisco Viejo Tonel Acholado, Galliano L’Aperitivo infused with strawberries, lavender infused Carpano Antica Vermouth, Fee Brothers Rhubarb bitters, Fernet Vallet and clove smoke. 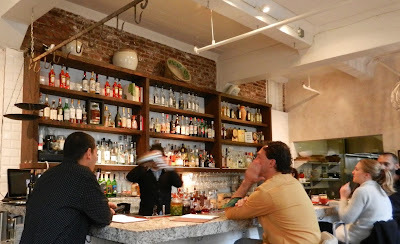 His customers enjoy the way the genever interacts with the pisco, giving his Negorni a distinctive flavor profile. By inviting mixologists to Amsterdam, Bols familiarized Rosito, Cerrudo and many others with jenever. As bartenders become better acquainted with jenever and demand increases, expect small batch distilleries like Wynand Fockink, Van Wees Distillery, Zuidam and others to make their distinctive jenevers available in the U.S. When that happens, jenever’s clean, bright flavors will compete for the attention of loyal mescal, gin and whiskey drinkers. And that will be a good day for everyone who loves quality spirits.